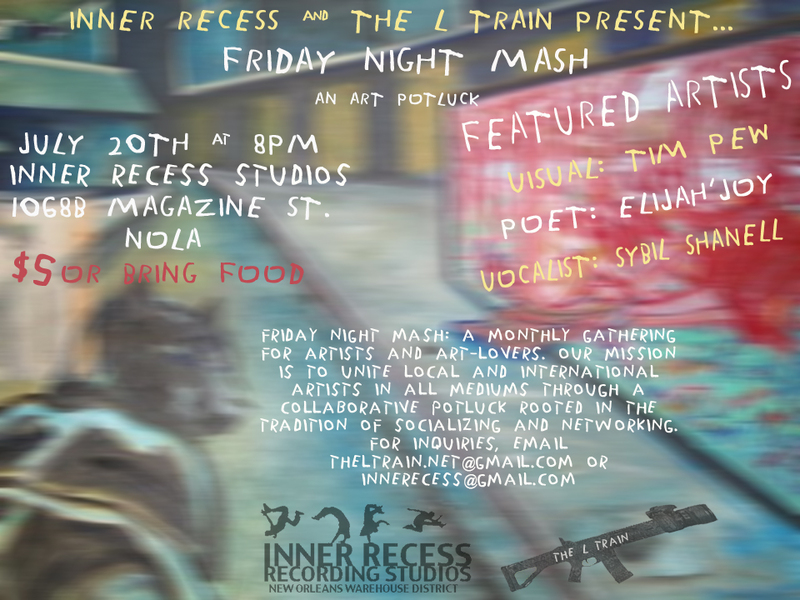 The next installment of Friday Night Mash is going down this Friday night at Inner Recess. 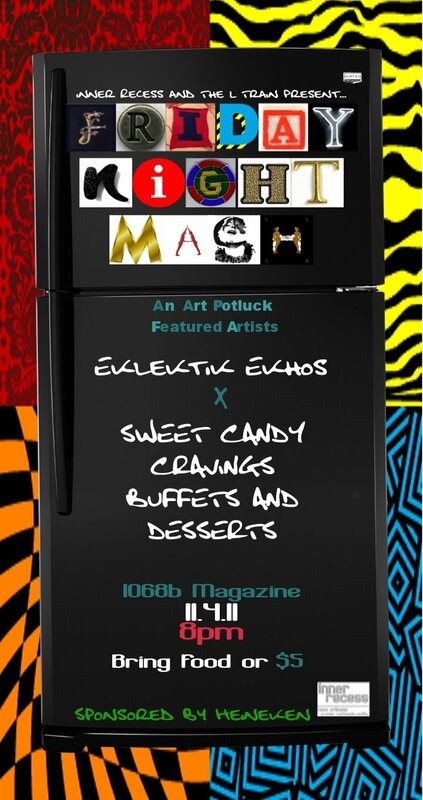 You’re invited to the première event of Friday Night Mash, a monthly gathering for artists and art-lovers, at Inner Recess Studio in New Orleans, where we unite and promote local and international artists through a collaborative potluck. 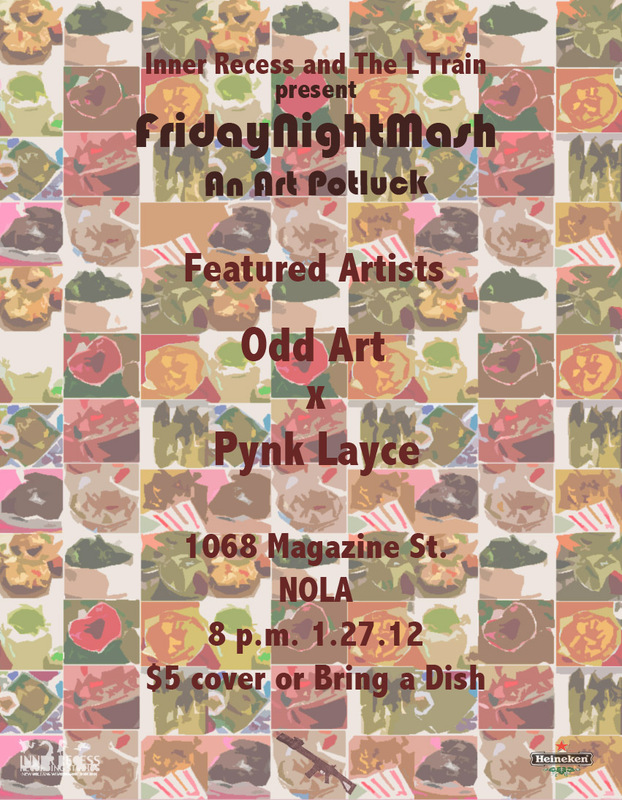 FRIDAY NIGHT MASH, the only place to be.